I hope you have some amazing plans this Halloween! I don’t personally celebrate Samhain but Halloween is my household’s favorite holiday, hands down. We have as much stuff to decorate for Halloween as we do Yule and it’s not enough. I’m having a pretty low-key holiday myself. A fabulous witchy dress and hat, of course, but otherwise it’ll be filled with baking, some woo stuff, and passing out candy. It’s sort of a relief to have a quiet holiday. It’s been a crazy couple months and I just got back from a work vacation this weekend. I’m actually super happy to simply have electricity as many people nearby don’t. Side story: I thank the dead for the fact that I usually have power when my neighborhood doesn’t. My house is, for some reason, on the same power grid as the funeral home across the street and no one else is? So while our power flickered, we didn’t lose it despite the massive storm that took out power for a good portion of our city. Anyway, what I love about blogging around this time is EVERYONE is posting about spirits. It’s great. I can pick up all sorts of new tips and folklore that way. It’s also prime time for magical rituals and spells. This roundup guide offers tips, tricks, and links on what you can do to to make your night a little more magical. Before you get started with your spooky or woo related shenanigans, there’s probably some steps you need to take. My top seven tips and tricks for making contact or dealing with serious spell casting follow. Make a snack or meal to consume after your working. Carb-y food or sugar-y food is ideal. I typically grab a thick slice of hearty bread or some pasta when I need carbs and a big bowl of fruit and chocolate bits when I need sugar. Make both ahead of time. Drink water on hand. Getting thirsty during a working is the worst, especially if you’re chanting. Be well-hydrated before you start and make sure you hydrate afterwards. If you’re using alcohol to induce a trance, make sure you have water on hand after your session to hydrate. If it gets weird, get out. If you’re ghost hunting, contacting a spirit, or any other activity, you can probably leave right away. Thank any spirits for their attention and get out. If you’re in the middle of a spell, quickly but thoroughly finish it and leave the area immediately. Drink some water, take a bath, cleanse yourself, then go do something totally and completely mundane. Trance safely. Before you use any entheogens, psychedelics, or other trancing method, make sure that you write down what you’re taking and how much. Write down why you’re taking it. Leave a small sample of the consumable along with these notes. This allows emergency medical services to treat you quickly and accordingly if something goes wrong. It also allows you to recreate the circumstances again if you have a good experience that you want to replicate. Don’t go alone. If you’re doing an outside ritual, traveling, or ghost hunting, go with someone else. Bring a friend who can chill while you do your thing nearby if they’re not willing to lend a hand. Solitude more of your thing? Then make sure to text a friend where you’re going or when you’ve left. There’s a lot of people out there on Halloween and accidents are very common. Be safe. Practice fire safety. Candle magic is incredibly popular and common. However, practitioners can get carried away. Make sure that you’re practicing fire safety. If you have more than 5-7 candles going at once, keep a fire extinguisher or similar items on hand. Keep pets indoors. This is more of a Halloween-centric tip than a general one but with so many people out and about on Halloween, it’s a really good idea to keep your pets indoors during this time. I recommend keeping pets inside during outdoor rituals anyway – a dog barking during your chant can really break the mood. Following those tips can help you out immensely, especially if things get weird and/or powerful. Another good idea is to go armed with lots of information. Here’s a bunch of posts that can help. I’ve also added some posts geared towards “new year” because for some people, they start or end their magical year on Samhain. Protecting yourself from dangers while cast spells or contacting spirits is important – but it can also be a hindrance. If you’re protected from spirits, then spirits will have a more difficult time communicating with you. I do recommend protection spells but it’s not a requirement. I don’t use them on myself personally 99% of the time and never when I’m working with spirits or casting spells unless I feel like I’m in danger from something. But, uh, I’m reckless so it’s probably best to not be me and to cast some protection spells before you go out and about with your shenanigans tonight. Getting in touch with spirits can be difficult, especially if you’re not use to it. Samhain often is said to be a thinning of the veil between the spirit realms and the physical world. While the veil between the worlds happens multiple times a year, this one’s pretty consistent. The following posts should give you some tips to make contact to a wide variety of spirits and beings. They’ll also help you have a good experience and offer some pretty good advice too. You can cast any spell you want any time you want, according to my practice. Here’s a good long list of spells you can give a try. Cleansing yourself after powerful magic or spirit contact is recommended but, again, not a requirement. I often recommend it especially if you’re dealing with multiple energies, like doing group tarot card readings or going to a haunted place with many spirits. It’s also just a good idea in general. Whew! That was a lot of links. I should be back to regular blogging in November. My burn out has abated so I’m back to writing, full-steam ahead. Which is good because NaNoWriMo is less than 24 hours away. 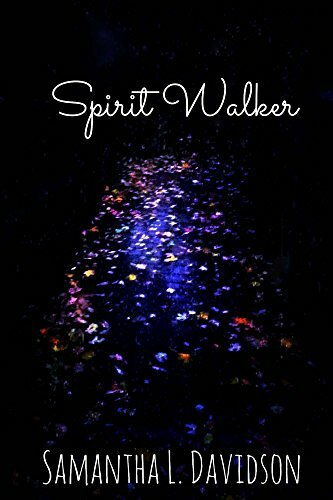 Speaking of writing, if you haven’t, go pick up my novel Spirit Walker. It’s about astral travel and revenge. One last thing before I let you get back to your candy and binge-watching Hocus Pocus, This Crooked Crown is having a 10% off flash sale. Today (10/31) only. All readings and items in the shop are on sale, including the new reading Taming Your Inner Demons.